Established in 1965, Bremick Fasteners provides over 40 years experience in the manufacture of high quality fasteners for performance conscious professionals in the construction, manufacturing, mining, and petro-chemical industries. Bremick Fasteners Ltd is the largest Australian owned and operated fastener organisation with 10 factory warehouses in all major capitals in Australia and New Zealand. Bremick products have for many years been readily available to trade and professional users through an extensive network of authorised Specialist Fastener distributors and retail hardware outlets across the Asia Pacific region. Bremicks extensive product range includes Nuts Bolts, Washers, Stainless Fasteners, Socket Screws, Self Drilling Screws, Masonry Anchors, Rivets and Stud Bolts. For many years Bremick has successfully supplied fasteners for use in major engineering projects and remains conscious of the fact that many of it\'s products are used in critical applications. 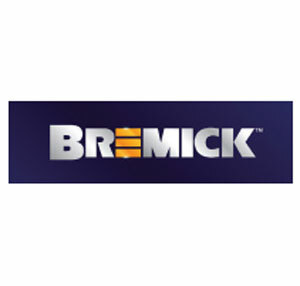 Bremick holds the view that it has a social, as well as a legal responsibility to ensure that the quality of products supplied can be fully relied upon and are manufactured in accordance with both Australian and International Standards. To ensure all products meet industry standards the company has made considerable investment in plant and equipment to ensure prompt and reliable delivery of economical high quality fasteners.